Considering the fact that the first online casino’s found their way to the internet in 1994, it’s quite an achievement for an online casino to celebrate its 10th Anniversary. Mr Green has been celebrating since the 1st of January, but an 8-week countdown will result in players winning a total of €5 million worth of cash, cars and bonuses with every single week an incredible promotion. Something you don’t want to miss out on, trust me! Online casinos are relatively new overall as an industry, dating all the way back to 1994. It was in this year the first online casinos were established, even though many didn’t even have internet at home yet and the games were rather simple compared to today’s high-quality games. It was in 2008, that Mr Green took his green suit and bowler hat, entered the upcoming iGaming industry. Mr Green was determined to make millions of players happy with the best online casino games. It was never an easy road to go with the iGaming industry changing continuously, from a non-regulated industry, with extremely simple websites and hardly any gambling laws, to a regulated billion euro industry with hundreds of high-quality websites licensed in particular jurisdictions all over the world. Only those who were prepared to grow together with the industry and to innovative had a chance to survive and Mr Green was definitely one of them. Mr Green quickly became one of the larger operators, offering its online casino games through a cutting-edge gambling platform with a front office and back office, including hundreds of employers,t together being responsible for Mr Green Casino to run optimally while you have no chance of surviving without a dedicated customer care, marketing team, design department and that’s just a small part of Mr Green as a company. After Mr Green Casino first opened its virtual doors 10 years ago, Mr Green has been incredibly successful and it’s only fair to this NetEnt Casino and the industry that Mr Green keeps winning multiple awards during the yearly iGaming award shows while it continues to become more and more popular among online casino players across the globe. 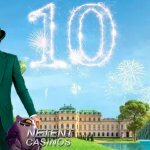 How to celebrate a 10th anniversary as an online casino? With a €5 Million 10-Year Anniversary countdown, obviously! 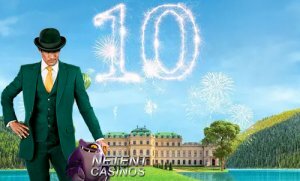 There are 8 weeks to go until the actual date that Mr Green put his green suit and bowler hat on 10 years ago to take over the iGaming world. And instead of a promotion around the actual date, Mr Green decided to celebrate its Aniversary as much as possible. In January it started the Around the World promotion as part of the celebrations. And now an out of this world online casino promotion will take place for the next 8 weeks. The next 8 weeks, Mr Green is going to be more generous than ever giving away €5 million worth of cash, cars and online casino bonuses. 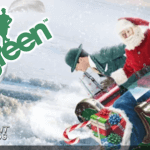 Mr Green could have gone crazy for just a week or maybe two, but again Mr Green is showing why they deserve to be called an award-winning online casino and why millions of players around the world enjoy spending their free minutes, hours and days at Mr Green Casino. 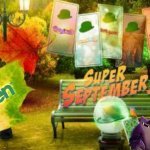 Mr Green Casino is pushing the boat out in the next 8 weeks, giving away fantastic weekly prizes and huge cash rewards. 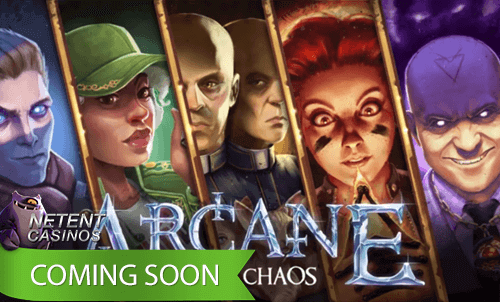 Time to explore Mr Green’s mansion like never before, from his unique garage and beautiful gardens to his personal vault and exquisite games parlour. Every week another room can be explored and will contain amazing prizes you won’t want to miss. Now the countdown clock started ticking down to Sunday 23rd September and the moment when 500 players will be caught up in Mr Green’s collateral cash explosion. Cash rewards from €100 up to €17,000 will be raining down into winning accounts with one lucky player landing a staggering €100,000 top prize! You take part in Mr Green’s 10 Year Anniversary weekly promotions, where every 100 real-money spins played across the selected game collections including Starburst™, Gonzo’s Quest™, Lost Relics™, Divine Fortune™, Jumanji™, Asgardian Stones™, Finn and the Swirly Spin™, and Fruit Spin™, will earn you an entry into the €200,000 cash explosion at Mr Green Casino. So when you’re playing in one offer, you’re also taking part in this offer. As mentioned before, Mr Green is going to be more generous than ever and this week it will give away a new Tesla Model S, the car of choice for Forbes richest billionaires and environmentally-friendly celebrities. Now you can win it as well and while one player walks away with the Supercar worth over €100,000, there will also be 19 cash prizes. 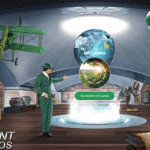 Play any or all of the above NetEnt video slots, it’s up to you… but once you complete 100 spins of minimum €0.50 per spin, you’ll earn a Tesla Ticket into the final draw to win the car and of course, more tickets can be earned. It will be on Friday 3rd of August at 19:00 CEST that Mr Green will draw the winner LIVE from Mr Green’s Live Beyond Live Roulette 1 Table along with 19 runners-up of cash prizes totalling €5,000.